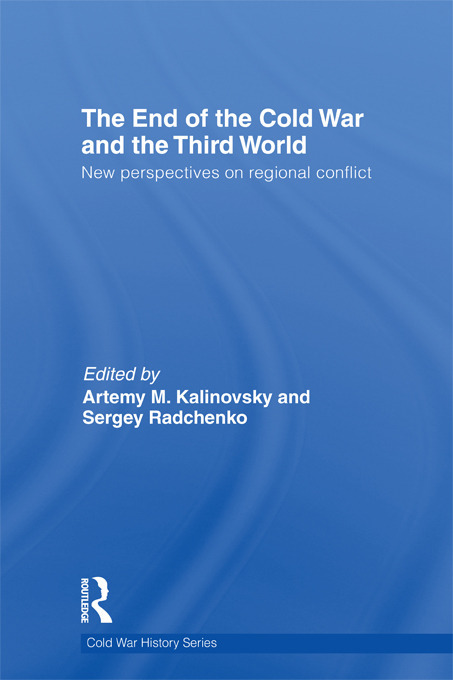 This book brings together recent research on the end of the Cold War in the Third World and engages with ongoing debates about regional conflicts, the role of great powers in the developing world, and the role of international actors in conflict resolution. Most of the recent scholarship on the end of the Cold War has focused on Europe or bilateral US-Soviet relations. By contrast, relatively little has been written on the end of the Cold War in the Third World: in Asia, Africa, and Latin America. How did the great transformation of the world in the late 1980s affect regional conflicts and client relationships? Who "won" and who "lost" in the Third World and why do so many Cold War-era problems remain unresolved? This book brings to light for the first time evidence from newly declassified archives in Russia, the United States, Eastern Europe, as well as from private collections, recent memoirs and interviews with key participants. It goes further than anything published so far in systematically explaining, both from the perspectives of the superpowers and the Third World countries, what the end of bipolarity meant not only for the underdeveloped periphery so long enmeshed in ideological, socio-political and military conflicts sponsored by Washington, Moscow or Beijing, but also for the broader patterns of international relations. This book will be of much interest to students of the Cold War, war and conflict studies, third world and development studies, international history, and IR in general. Artemy M. Kalinovsky is Assistant Professor of East European Studies at the University of Amsterdam and a Research Associate at the London School of Economics IDEAS. Sergey Radchenko is Lecturer at the University of Nottingham, China Campus, Ningbo, China.